Susanne Skinner’s post yesterday on how to work somewhere awesome made me reflect on those times when candidates have the power to make such choices vs when they have to take whatever they can get. In the latter case, folks often choose to join a company culture that they know in advance is a hot mess because it’s the only game in town. The determining factor is the state of the economy either nationally, geographically, or within a particular industry. When the economy is good and businesses prosper, candidates with good resumes have a strong position. 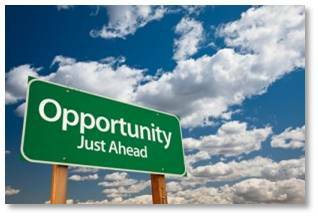 They can look around and assess the opportunities that are available. They can evaluate the company, the job, and the offer and make a decision that works best for them. Sometimes money is the determining factor, or proximity and length of commute may take precedence. But it’s always important to put corporate culture into the mix. Money, perks, title, or a short commute mean nothing if you’re miserable once you walk in the door. Because, chances are, you’ll be miserable out of the office as well. And sometimes you’ll not be able to sleep at night because you’re worrying about what you’ve been told to do, how much you dislike your boss, or what’s going on in the company as a whole. When I was a director at Wang under an incompetent “turn-around expert” my VP would joke about coming in every day to get his “daily thrashing.” That’s not a fun experience and it’s the kind of thing that keeps you up at night. No one looks forward to coming in to work when that happens. A strong economy means strong demand for employees with lots of opportunities and companies vying for the best talent. That situation makes for the best company cultures. That’s when CEOs, hiring managers, and Human Resources staffers alike have to stay on their toes. They have to keep benefits up at or beyond the industry’s standards. They invest time and energy in policies that ensure employee satisfaction, establish career tracks, set fair salary increases, and keep job churn to a minimum. They consider employees valuable contributors to the company’s success. Life is good for everyone. Recessions really bring out the worst in company cultures, however. That’s when job opportunities shrink and candidates start noting that they “can’t buy an interview.” With few options, people are more likely to take whatever they can get to keep a paycheck coming in, even if it’s less than they used to make. Perks and benefits either remain stable or dwindle as well. It’s hard to justify buying that state-of-the-art espresso machine or setting out free bagels on Friday if the company isn’t making its numbers. Now, it’s understandable that companies would pull in their financial horns when business is slow. It’s also reasonable that candidates would grit their teeth and take a salary hit just to keep working. No one likes doing those things but you have to deal with reality. What’s less comprehensible is why company cultures become downright nasty in a recession, especially when it comes to how they deal with those candidates applying for the few jobs available. Okay, no one’s happy when business isn’t good but is that a reason to treat smart, ambitious and well-educated people like cattle? Recessions are when Human Resources departments go from friendly and outgoing to remote and inaccessible. Experienced HR professionals turn into Catbert. Resumes vanish into a black hole from which no communication ever emerges. 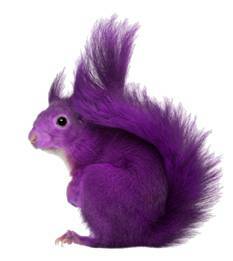 The Purple Squirrel appears on job descriptions, transforming them from reasonable descriptions of duties, qualifications, and company advantages to irrational lists of responsibilities and unreasonable sets of qualifications. Company advantages morph into thinly veiled threats. “Lean and mean” becomes the order of the day, with the emphasis on mean. Reading between the lines of these job descriptions, candidate understand that the demands will be harsh, the conditions unpleasant, and the judgment unforgiving. The unspoken demand is that you work non-stop, put up with a lot, accept insulting treatment and ask for nothing in return. And the companies almost seem to brag out how tough they are toward their own employees, as if that’s a selling point. Recessions are when bullies feel free to kick down and kiss up without apology. When senior management cuts salary increases but leave their own bonuses intact. When employees are treated as liabilities instead of assets. 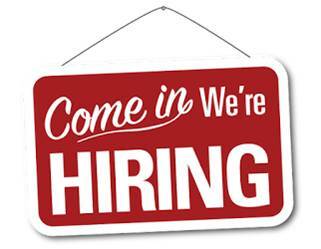 It’s a tough time for both those who have jobs and job seekers alike. It’s a start in the right direction. Let’s hope it keeps going. This entry was posted in Business, Technology and tagged company culture, corporate culture, lean and mean, positive culture indicators, Purple squirrel, recession, Susanne Skinner by Aline Kaplan. Bookmark the permalink.